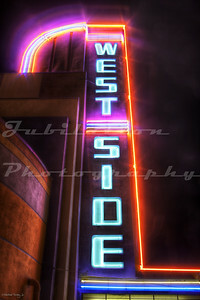 The decade of streamline moderne. 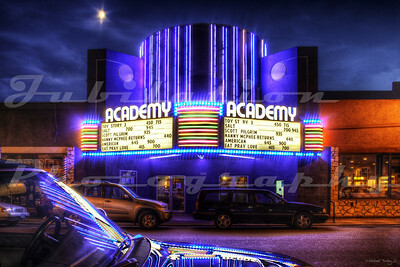 My personal favorite theater anywhere. 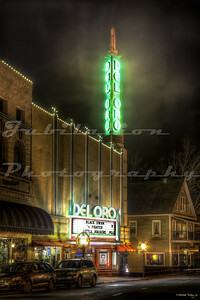 The Del Oro Theatre, Grass Valley, CA. 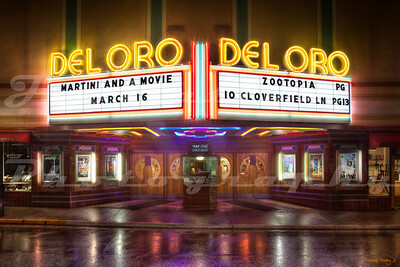 Opened in 1942 and put out of business the nearby Montez Theater. 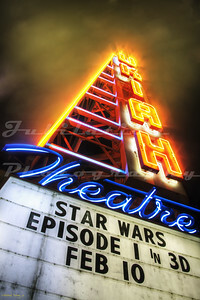 I saw many movies here as a child and as a teen. 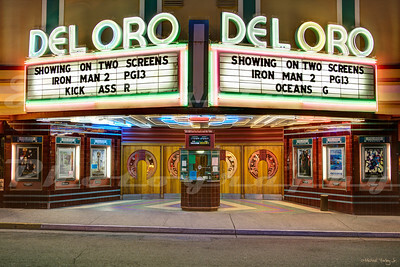 The Del Oro after its recent facelift. 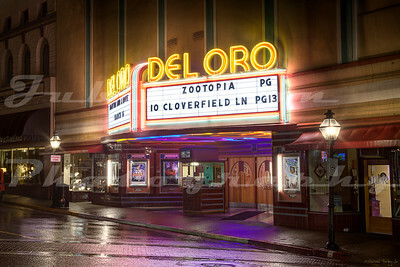 The Del Oro Theatre, Grass Valley, CA. Opened in 1942. 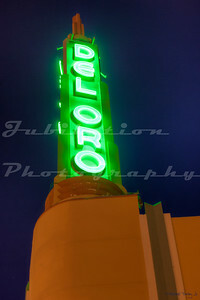 The Del Oro, when it was still green. 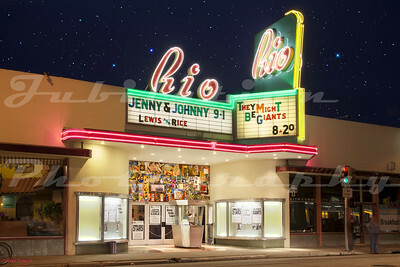 The Rio Theatre, Santa Cruz, CA. Opened in 1949. 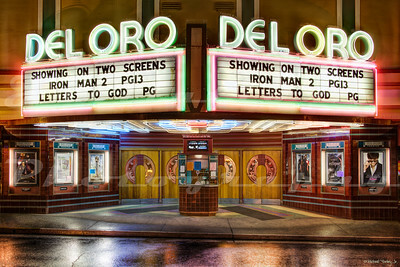 The Del Oro Theatre, Grass Valley, CA. 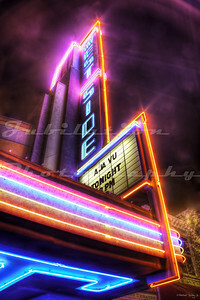 Opened in 1942. 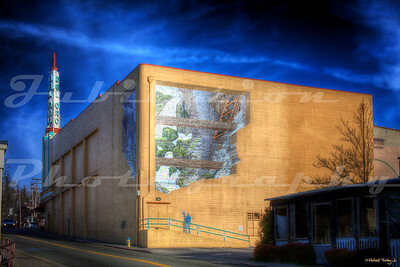 This new mural by John Pugh was painted in 2009, and replaced a previous mural of two minors carving a heart out of a big piece of ore. 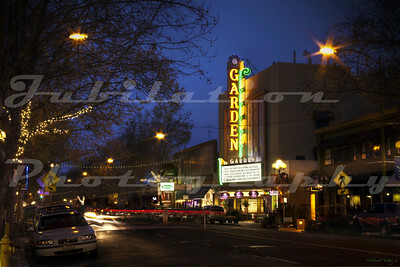 The heart said, "Grass Valley - The Heart of the Gold Industry". 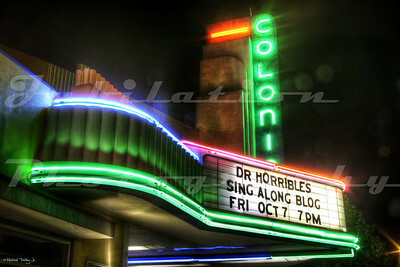 The Colonial Theater, Sacramento, CA. Opened in 1940. 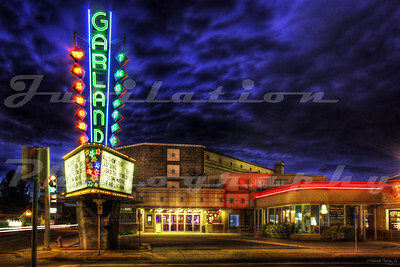 The Garland Theatre, Spokane, WA. Opened in 1945. 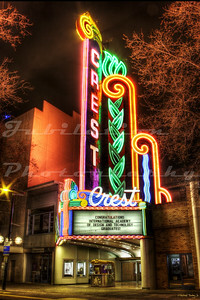 The Crest Theatre, Sacramento, CA. 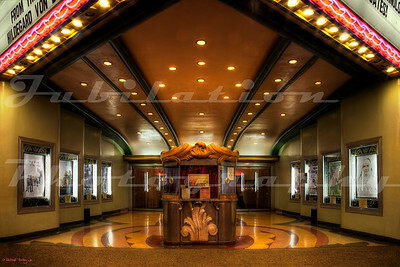 Built in the shell of the old Hippodrome Theatre in 1948 and opened in 1949. 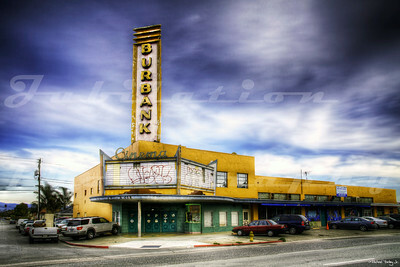 Still a beautiful gem shining in Sac. 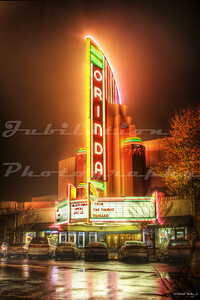 The wonderful looking Orinda Theatre. One of my personal favorites. Opened in 1941. Orinda, CA. 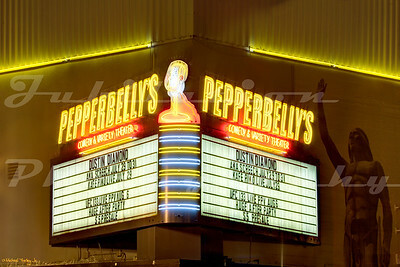 Pepperbelly's Comedy and Variety Theater In Fairfield, CA. 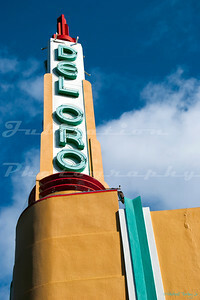 Opened as the Solano Theater in 1941. 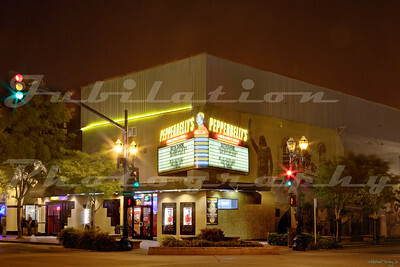 The theater burned down in 2013. 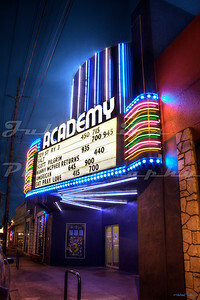 The Academy Theatre, Portland, OR. Opened in 1948. 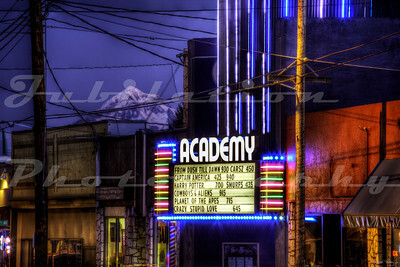 The Academy Theatre, Portland, OR, with Mt. Hood looming the the background. Opened in 1948. 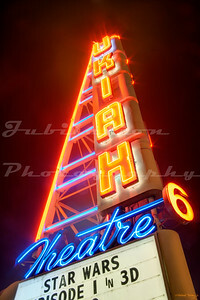 The sign in front of the Ukiah Theatre, Ukiah, CA. Opened in 1948. 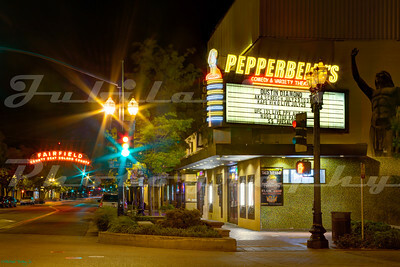 Now owned by Regal Cinema's. 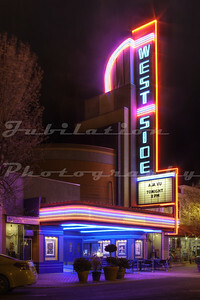 The Ukiah Theatre, Ukiah, CA. Opened in 1948. 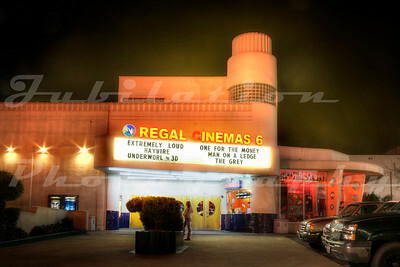 Now owned by Regal Cinema's. 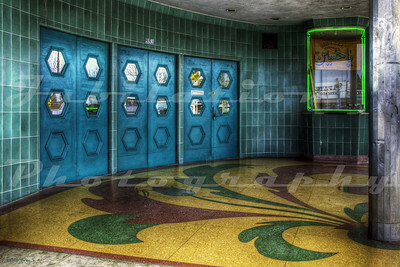 The beautifully maintained West Side Theatre, Newman, CA. Opened in 1940. 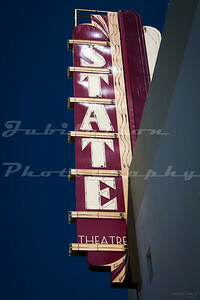 The State Theatre, Red Bluff, CA. 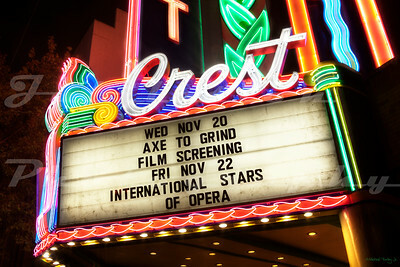 Opened in 1944. This photo is before the restoration. 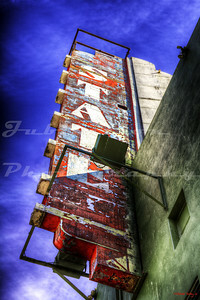 The State Theatre, Red Bluff, CA. Opened in 1944. 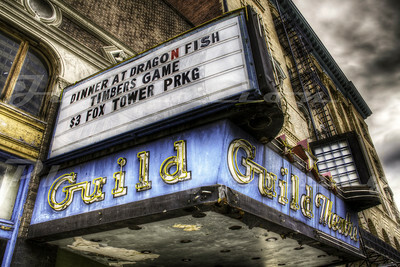 The Guild Theatre, Portland, OR. Opened in 1948 and closed in the 2000's. Now it just sits, rotting away. 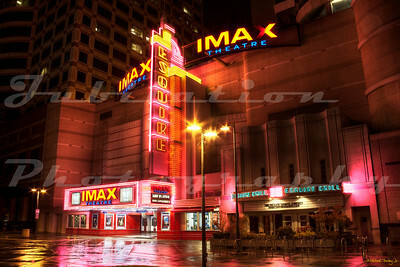 The Esquire IMAX Theatre, Sacramento, CA. 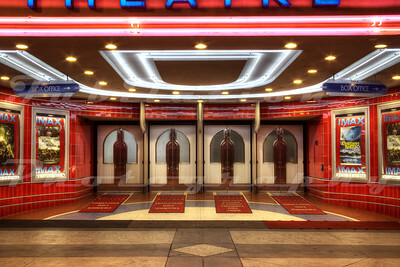 The Esquire Theatre opened in 1940. 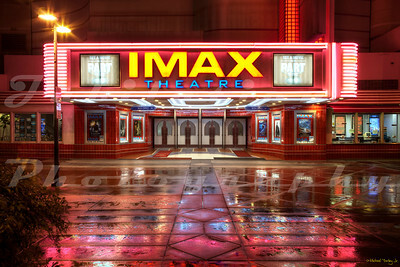 In the 2000's, the theatre was gutted, and only the exterior preserved to build the IMAX theatre. 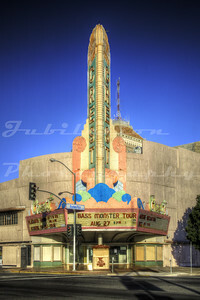 The Crest Theatre, Fresno, CA. Opened in 1949. 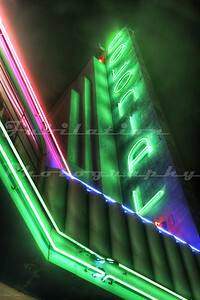 Eventually completely emasculated of all it's glorious neon. 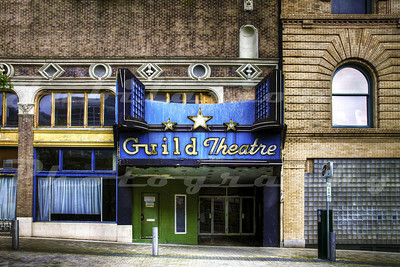 You can at least tell this used to be a magnificent theatre. 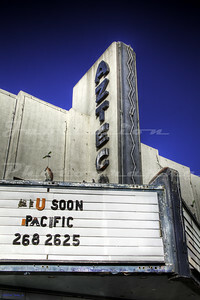 The Azteca Theater, Fresno, CA. Opened in 1948. Been closed for decades. 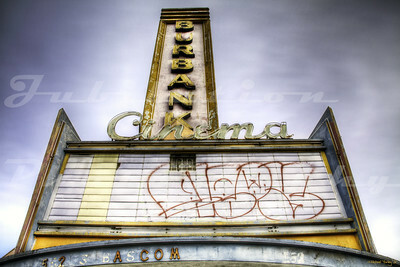 The Burbank Cinema, San Jose, CA. Opened in 1949. 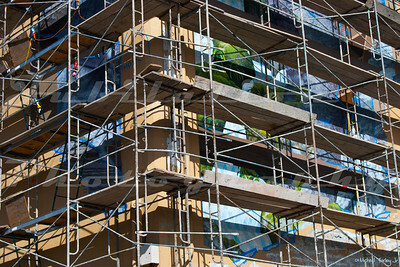 Apparently, it was shut down in March of 2000 as a public nuisance by the Santa Clara County D.A. 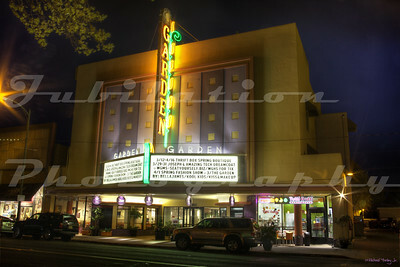 The former Garden Theatre, San Jose, CA. 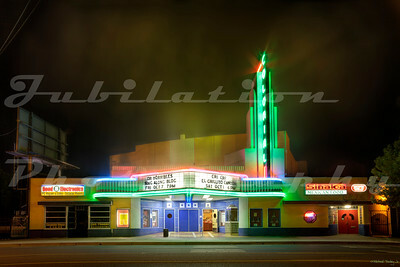 Opened in 1949, and gutted and turned into retail space in 1989. 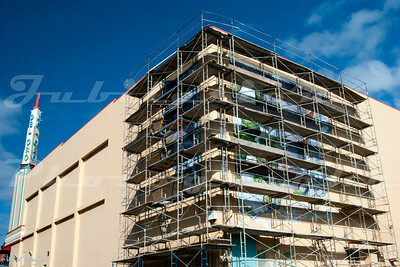 Only the exterior was left in tact. It still lights up every night. 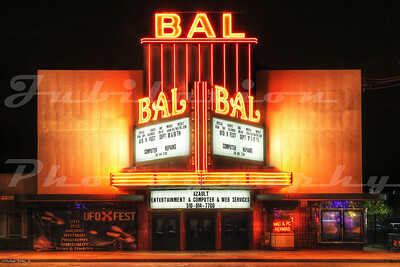 The Bal Theatre, San Leandro, CA. Opened in 1946. 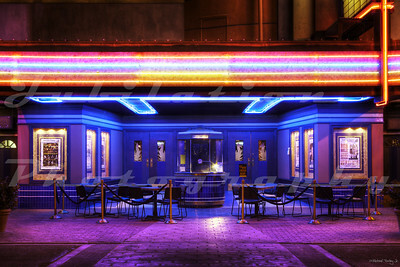 Much of the neon has been removed.